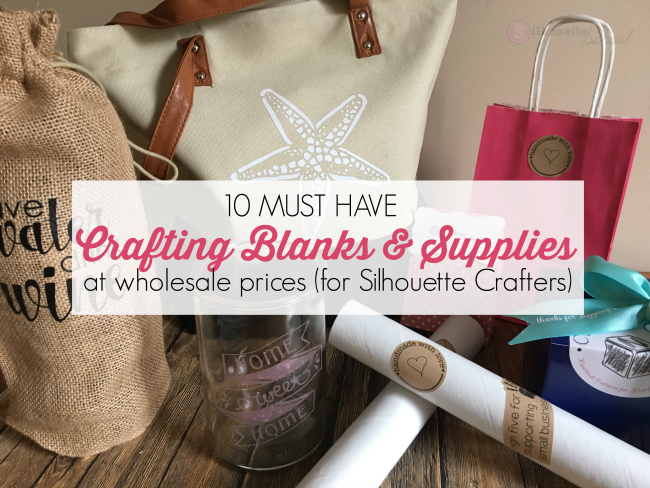 I get asked a lot about where to find wholesale craft items and packaging supplies without having a wholesale account. Today I thought I'd introduce you to one of my secret stashes! I have been shopping at PaperMart for years!! 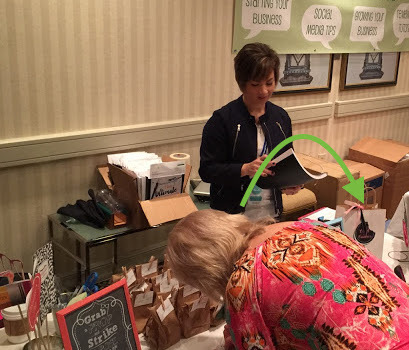 When I was selling at craft shows and on Etsy I used to get all of my packaging - including paper shopping bags - from PaperMart because their prices and selection can't be beat. A few weeks ago I headed back over to see what else I might be able to use and I was stunned at the number of unique blanks, packaging options, and shipping supplies. Today I've pulled together 10 of my favorite things from PaperMart just as a way to help you keep focused because it's easy to get distracted with all the goodies over there! Basic Paper Shopping Bags - They come in pretty much an endless number of sizes and are perfect to use at craft shows or when customers pick up orders. (It beats throwing their order in a plastic grocery bag!) My staples that I always keep in my craft room at all times - are the kraft paper bags and the small white handled paper bags. I use my Silhouette CAMEO to print and cut stickers to slap on the bags and they're instantly customized! You can get bags for as little as just a few cents per bag. The more you buy, the lower the price per bag. Specialty Bags - Looking for bags that closely match your branding? PaperMart has a huge selection of colored and patterned bags, too. These twisted handle pink bags come to $0.33 each. Find one that matches the colors in your logo and add your own sticker to it! Looking for the best way to ship vinyl decals? If they're too big to fit in an envelope - roll them up and place them in one of these PaperMart 1.5" x 9" cardboard shipping tubes! A case of 25 of these will set you back $12. I can tell you that's a lot cheaper than getting them at the post office! Just an FYI - the plastic end caps are sold separately so grab them too. Print out your shipping labels or some happy mail stickers at home and put them right on the tube and pop it in the mail. Ribbon - Set your items apart with packaging that 'makes it'. PaperMart has a huge selection of ribbon that can be used to package your crafts. Take it one step further and add a special message on the ribbon with heat transfer vinyl! You customers will remember the attention to detail and it will help set you apart. This 50 yard roll of 1.5" double face satin ribbon cost me $7.48. Small Boxes -When the holidays roll around I must get asked on a weekly basis what's the best way to box up Christmas balls and other ornaments PaperMart has several options that are the perfect size to fit ornaments - even the large Christmas balls would fit! If you sell candies or cookies or other small items, they'd also fit perfectly in these glossy colored 4 x 4 x 4 boxes. Again, print out some stickers with your logo or a quick "Thanks for Shopping Small" and your order is perfectly presented. These are two of my favorite box types. The clear box with the lid and bow sells for $0.96 cents each - in a case of 48. The paper box is 4x4x4" and is sold in packs of 25. Those boxes are just $0.34 each. The polka dot tab top boxes are just too cute and cost just $6 for 24. You can use them for packaging or make them a custom offering for baby or bridal shower favors with nothing more than a sticker or a tag. You could even add vinyl right to the top or sketch on them with sketch pens! Lots of options with these boxes. Burlap wine bags - You can customize these burlap wine bags in just minutes with heat transfer vinyl. They are not only hot sellers, but they make great gifts! Plus at less than $1.40 each you can make a great profit off these bags. They come in sets of 10 for $13.80. Canvas Totes - I love these canvas tote bags because of how classic they are, how much they can be personalized, and the potential margins on them. PaperMart.com sells the bags for $6.16 (they are sold individually) and you could easily get over $20 for these personalized with HTV, screen print, or fabric paint stencil. Glass Vases - My favorite way to customize glass vases is with etch glass vinyl or etching cream. Perfect for pretty much any holiday including Mother's Day, Easter, Christmas, even birthdays! The 4x6" glass vases are $2.33 each and I am sure you'd have no problem selling for around $10 each depending on the customization. Those are just my top 10 blanks and supplies to get from PaperMart.com but I assure you there are tons of options whetheryou're looking for unique blanks, wholesale shipping supplies, or special packaging that will make your Silhouette crafts stand out!